The annual BES Costume Parade is coming on Wednesday, October 31st, and we can't wait to see all of our students dressed up in their favorite characters. Join us at 8:10 a.m. in the lawn in front of St. Paul's by-the-Sea Episcopal Church for a fun time together as a school community. Share in this special moment with your students as they parade around the lawn and get a head start on the evening's activities. Important: Parents, please make sure your student's attire is appropriate for younger children and does not contain offensive language or gruesome images. Thank you for your cooperation. Deadline Extended for Sixth Grade Spaghetti Dinner - Order Now! BES has extended the deadline for our families to order tickets to the Sixth Grade Spaghetti Dinner, which takes place on Thursday, November 8th from 5:00-7:30 p.m. in the Parish Hall. This event is always an enjoyable time as our sixth grade students serve a delicious Italian meal and entertain our guests during a memorable evening of music, food, and friendship. Dine-in and carry-out orders are available. We look forward to seeing our BES families and friends there to support our sixth grade students and to have a joy-filled dinner. Order by following the link below! 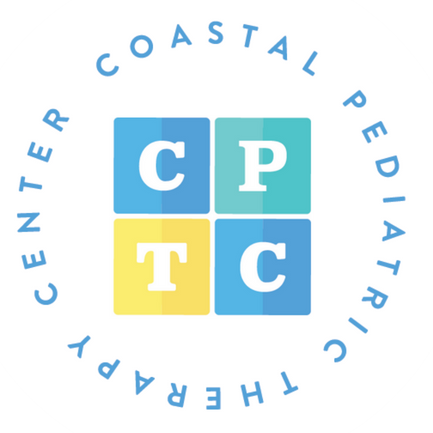 Speech & language (ST) screenings from Coastal Pediatric Therapy Center will be available on​ Friday, November 2nd. Screenings are available for children Pre-K through 1st grade, with cost covered by BES. Screenings will be provided by licensed therapists and will involve a brief assessment intended to identify a need for a full evaluation. If you want your child to participate, please sign the permission slip below and return to school by​ Monday, October 29th. NEW STARFISH FUND CHALLENGE: Dress Down Days for Grade Levels with 100% Parent Participation! Thank you to all who have already given so generously to the Beaches Episcopal School Starfish Fund Annual Giving Campaign. NEW CHALLENGE! We wanted to share an exciting new challenge moving forward. For any grade level that has 100% parent participation of giving to the Starfish Fund, they will receive ONE FREE DRESS DOWN DAY! Like last year, we will recognize our donors in the front office. The starfish will have the name of each donor as stated on their pledge card (including anonymous). For those where no specific name is given, we will simply list the name of the family. If you have not made your gift to the Starfish Fund, there is still time! The campaign runs through December 31, 2018. Every gift of every size makes a significant impact to our school and students. Be the one who helps Beaches Episcopal School continue our 65 year tradition of setting students on a trajectory towards success and significance. Donate or pledge your gifts by December 31, 2018. Pledge payments are accepted until June 30, 2019. Our boys team finished their regular season strong on Monday night. Thank you to all of our players and parents for being active in our athletic program this season. 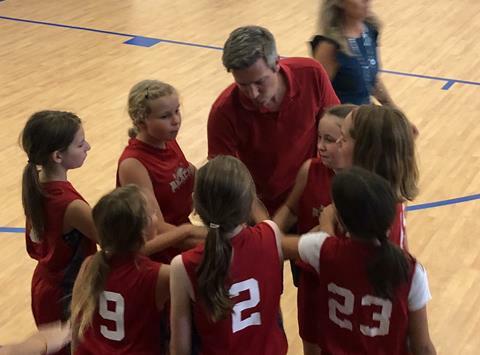 Thursday is the last regular season game for our girls team. It is a home game for the Rays, but we will play at the Boys and Girls Club (across from Fletcher High School). Game time is 5:00 p.m. The girls have improved so much since the first game. Come cheer on your team. Let’s go Rays! Early December, look for our Flag Football and Volleyball sign ups for the winter league. Practice starts in January. The league is considering doing a JV Flag Football team, which would consist of 3rd and 4th graders. Varsity Flag Football would be 5th and 6th graders. If you are interested in playing flag Football, please email Mrs. Novak. 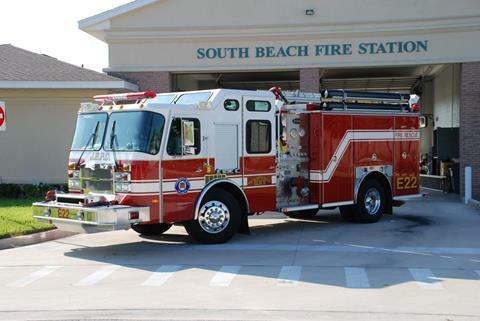 BES families are welcome to join our local Jacksonville Beach Fire Department (Station 2) at their annual Kids Halloween Party on October 31st. The festivities will take place from 5:00 - 7:00 p.m. at 2500 South Beach Parkway in Jacksonville Beach. Join them for crafts, games, prizes, and treats for all! Click the link below to see the event flyer and more details. Speech and Language Screening for PreK3 through 1st Grade at 8:30 a.m.